I think everyone have seen this error message at leas once. This error message can appear as on customized Acumatica screens as on standard screens as well. But what is the reason of this error and what to do with it? This error is related to screen layout. 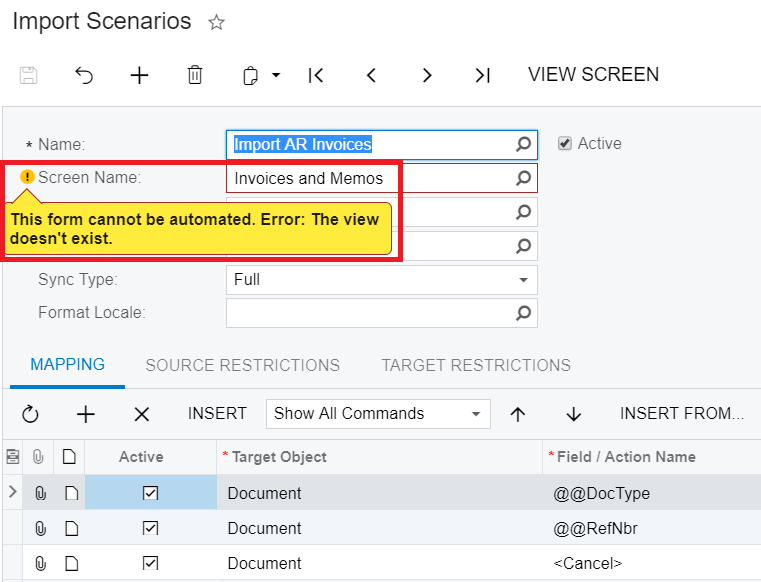 When Acumatica need to perform any of the screen automations (like, scheduling, notifications, import/export data, web-services API calls, automation steps and so on), Acumatica parse screen layout and generates in-memory screen structure based on ASPX markup. This is needed to identify how many controls, forms, grids are located on the screen, what type of controls and how can they be used. In case there is any error during this analyses than Acumatica shows conclusion “This form cannot be automated”. Actually you may see this error even if there is no single problem in the browser, so that is why this message is even more confusing. 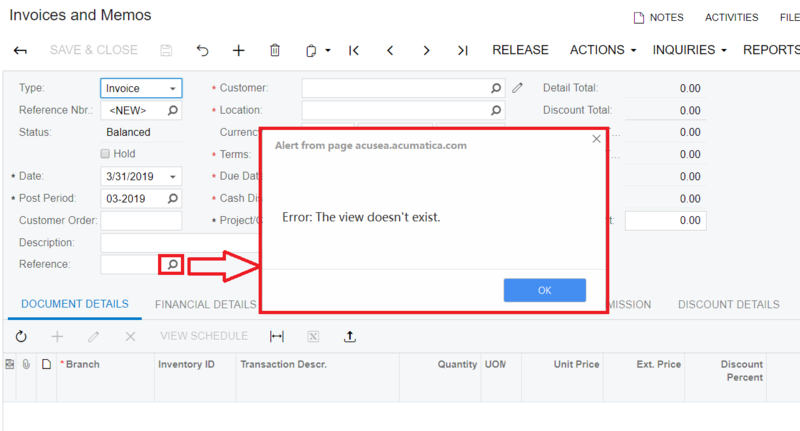 The reason is in the analyses procedure – when Acumatica generates in-memory screens structure it analyses all controls and its actions, even these controls are hidden or not accessible to user. This is customization issue. Here particularly added a selector on the form, but there is no PXSelectorAtrribure in the DAC. As soon as we fix this problem, our screen will work as usual. 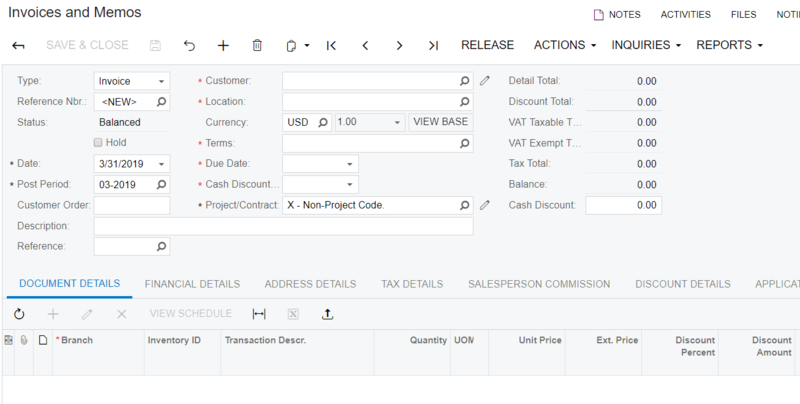 Selectors on the form/grid without PXSelector Attribute. There may be more issues like this, to find a real case, you need to use logging and analyses tools in Acumatica. 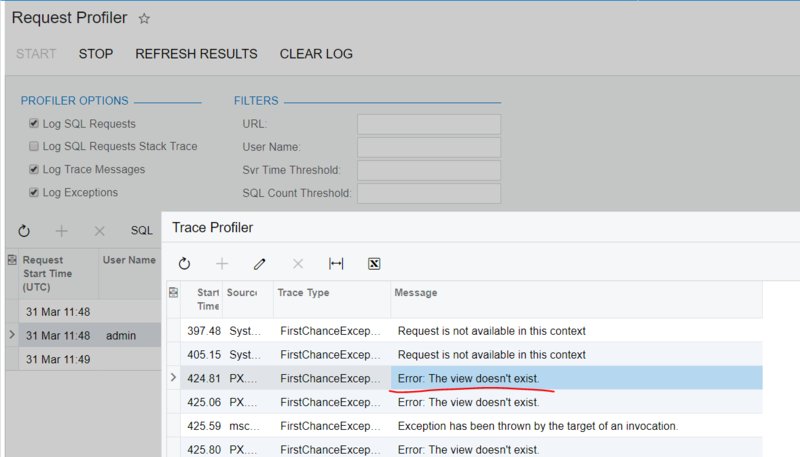 For example request profiler can show you place, stack trace and full error message when you select screen in the import scenario. Check carefully your ASPX code and should show the problem. In case you still can’t find a solution, create a ticket to Acumatica support and our team will be happy to assist you.